The total of the human population at the beginning of 2016 is roughly around 7.6 billion. And if it’s one thing that’s characteristic for us, is the speed in which we’re depleting our resources; not only are we fast, but we’re constant as well. There’s plenty of us already, and in the near future, there are many things we’ll need to learn to do without. The world reserve of petrol won’t last more than 20, maybe 30 years before its completely depleted. But even more important, it’s finding an alternative for when the food runs out. You can live without petrol and other commodities, but you can’t live without food. The best solution at hand is to throw aside culinary “traditions”, toughen up and accept the fact that the insects solving world hunger. They are the best source of food for dark days! Whether you’re the survivor for a massive World War, scouting the remains of a destroyed society or you’ve been stranded in a hostile environment, you’ll still be surrounded by insects. Most insects are good for eating, just don’t go for the poisonous and venomous ones. It’s their high concentration of protein (can go even up to 75% protein), but also saturated fats (the good kind of fats), minerals and fibers that put them at the top of the list; about 70% of the world’s population is living of insects already, so how long until the rest of us join in? 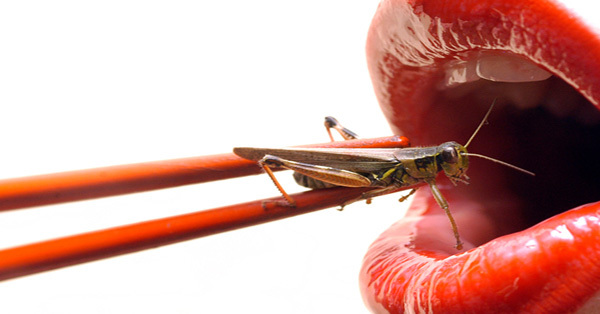 Even the UN launched an official recommendation which encourages insect consumption. Not only is insect consumption healthy, but insect farms would be far less costly and pretentious than any other type of animal. If I’ve got your attention, let’s see some of the best insects across North America that you can get your hands on if SHTF, or if you simply want to experiment. There are plenty of ants to choose from. They’re widely spread and within reach all the time. Just take a bit of patience to scout around the place and you’ll find some sooner or later. 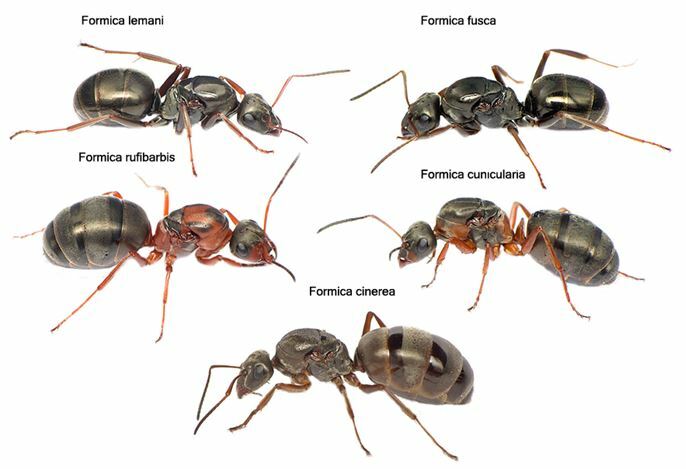 Most of the ants you’ll come across are harmless. But if you come across red ants, means you stumbled across some fire ants. Their bite is really painful, so be as cautious as possible. If we’re talking about an extreme survival case, you can simply reach in the anthill and grab the ants or even better, use a container. I’m sure that if you’ve been starving for a while, you won’t mind their vinegary taste or the fact that you ingurgitate some soil. But if you have the time, boiling is the way to go. 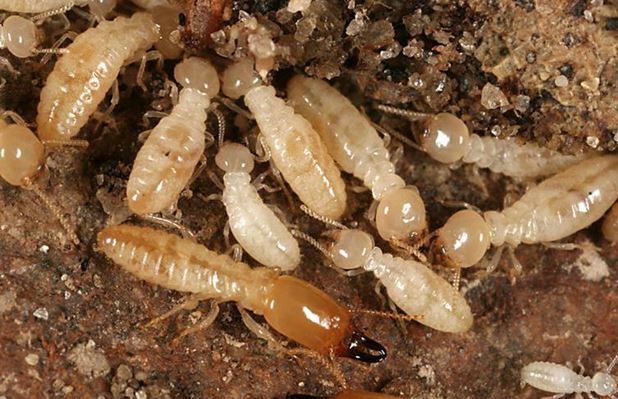 Termites are colonial insects, just like ants, they can often be found in large number at ones and their diet consists mainly of eating wood (xylophagous diet). In many places around the world, they live in regular fortresses; termite mounds that are run by all sorts insects devised in social ranks: workers, soldiers, scouts and the queen. However, the mound type structures are no longer found in North America; only fossils are left. Finding termites is really easy, just look for any signs of decaying wood, tree stumps and most of all, damp dead wood. The caterpillar is not a genus of insect, but rather a transitional form for all sorts of butterflies and moths. Before reaching adult state, moths and butterflies are found in caterpillar form. They don’t have wings, are rather slow by nature (which means they’re easy to catch) and are full of all sorts of nutrients and beneficial substances: vitamin B, calcium, sodium, potassium, phosphorous, magnesium, zinc, copper and iron. Whether they’re hairy or not, they’re still a fully nutritious food source. 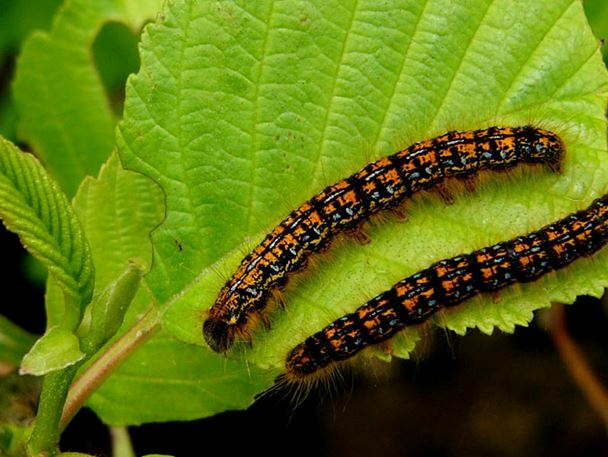 Some reports I have come across suggest that some of the caterpillars you might come across are potentially toxic, but I have found nothing conclusive in this regard. But just to play it safe, I strongly advise you to stay away from the brightly colored ones. In nature, bright colors mean imminent danger. The insects in this order are some of the most popular amongst people. And with good reason too. They’re everywhere, easy to catch and sometimes swarm in large numbers; they can be devastating to crops, so if you add humans to they’re natural predatory lists, means less damage they’ll be able to produce. Start eating them, before they’ll eat what you worked so hard for. Besides, they are very nutritious; they have a good overall taste, which is similar to peanuts. Frying them accentuates the flavor, and because they’re packed with protein, you can also dry them up and grind them into a fine powder, which you can store in a cool and dry environment. Be warned, procuring insects is not as easy as it seems. You really need to know what you’ll be going against. If it’s small and it’s crawling, it’s good to eat. BUT if you see bright colors, stay away. Bright colors mean that the insect is probably poisonous or venomous, so move on and keep looking. You also must be aware of you “hunting ground”. 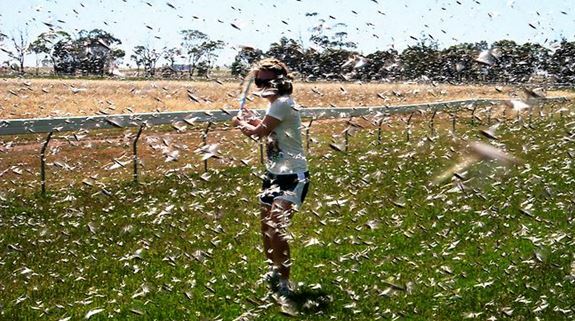 You should be gathering insects from urban areas or large crop fields, as these are very likely to have been sprayed with all sorts of insecticides, which can be very toxic. 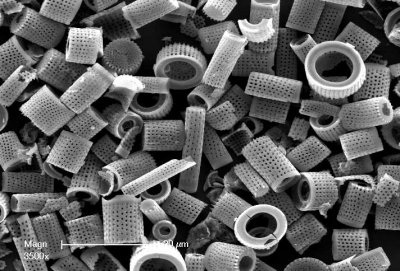 Diatomaceous earth (DE) is an all-natural chalky, soft powder formed from the microscopic fossilized remains of ancient single-celled animals, called diatoms. 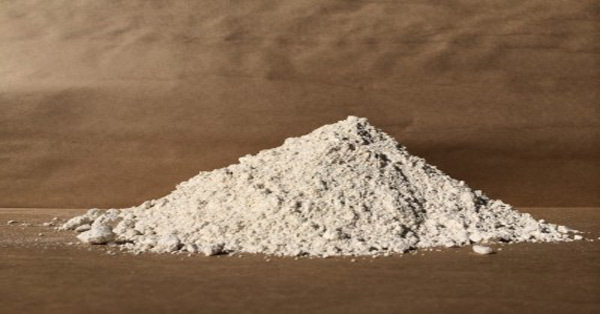 If you haven’t heard of diatomaceous earth and some of its amazing uses in and around your home, get ready to have one of those hand-against-your-forehead who-would-have-thought moments. Making up about 26 percent of the earth’s crust, DE is found in sediments from rivers, lakes, streams and oceans all over the world. It is almost 90 percent silica, which is found in human hair, skin, and nails. When viewed through a microscope, DE looks like a tube with holes in it. It is very hard, has a very strong negative charge and contains about 20 trace minerals. Note that there is a considerable difference between food grade and non-food grade DE, with the food-grade being considered much safer to use in a wider variety of applications. 1. Toothpaste. DE has abrasive properties and is an effective natural alternative to commercial chemical-laden toothpaste. Just add your own natural flavoring, such as mint, and sprinkle a little DE on your toothbrush. DE also works to control bad breath. 2. Deodorant. Are you ready to stop using antiperspirants which interfere with your body’s natural detox system, but baking soda, a common alternative, leaves you with a rash? Here’s a recipe to try that uses DE. • Combine DE and arrowroot powder or cornstarch. • Add 5 tablespoons melted coconut oil and mix well with a fork. Continue adding coconut oil until desired consistency. • Transfer mixture to a jar with a tight-fitting lid. Using your fingertips, apply a small amount to underarms as needed. 3. Facial Scrub. Because of its high mineral content, DE makes a gentle facial scrub and facial mask. 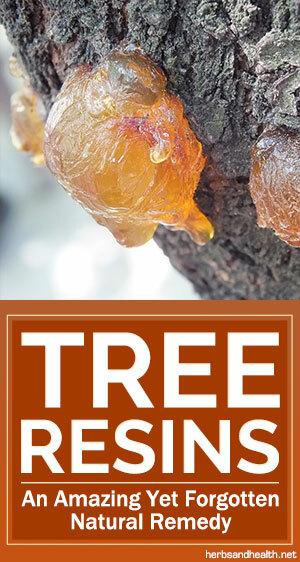 Directions: Mix about 1 tablespoon of DE with water, Aloe Vera juice or slightly diluted honey to make a thick paste. Lightly massage the paste onto your face using your fingertips and small, circular motions. Allow the paste to set for two minutes, before removing with a warm washcloth using similar circular motions. Avoid using this scrub near the eyes or on irritated or chapped skin. 4. Food storage. Add DE to your stored grains and legumes to help keep them dry, to keep away pests and to prevent spoilage. 5. Pest control. Food grade DE can be used to eliminate bed bugs, fleas, roaches, spiders, earwigs and garden pests such as slugs and beetles. Around the inside of your home, try sprinkling it into cracks and crevices where bugs can enter. 6. Kitchen deodorizer. Place a small container of DE in your fridge and freezer to reduce or eliminate unpleasant odors. Replace every few weeks or as needed. DE also is useful in neutralizing garbage can odors. Sprinkle some in the bottom of your can. 7. Metal Cleaner. Make a simple paste of DE and water to use as a metal polish. It also works well as a soft scrub for the shower, tub, and sink. 8. Driveway oil stains. To remove unsightly stains from your garage floor or driveway, sprinkle the affected area with enough DE to cover it completely. Let the powder soak up the oil for about 24 hours before removing the excess with a scraper and then sweeping away the remains. 9. Shoe odor. Place DE inside a nylon knee-high and tie the top end shut. Place inside shoe or boot to help absorb unpleasant odor when not wearing. 10. Carpet cleaner. Sprinkle DE on carpet stains and lightly work the powder into it before letting it set for several hours. Then vacuum. In addition to its home uses, many people use food grade DE as a nutritional supplement, primarily for bone and joint health, and as a detoxifying agent.